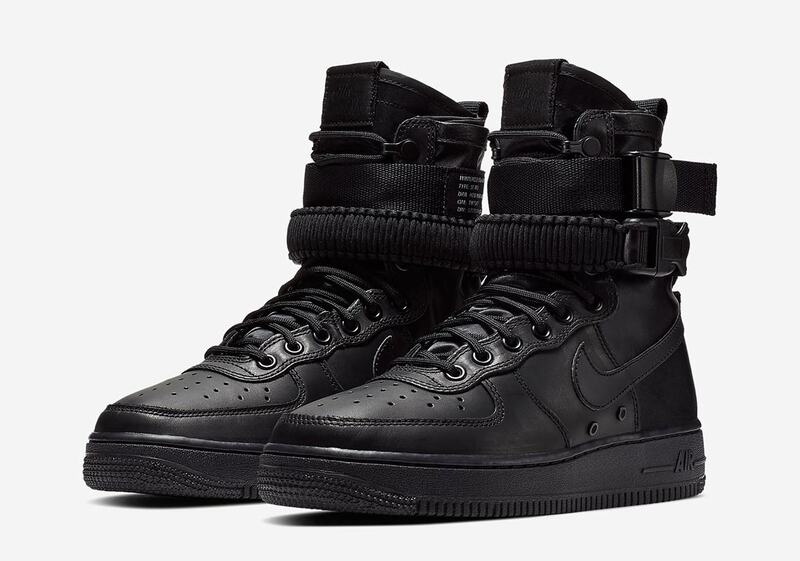 Two years and change after its first release, Nike’s SF-AF1 is still one of the most interesting hybrid silhouettes on the market. 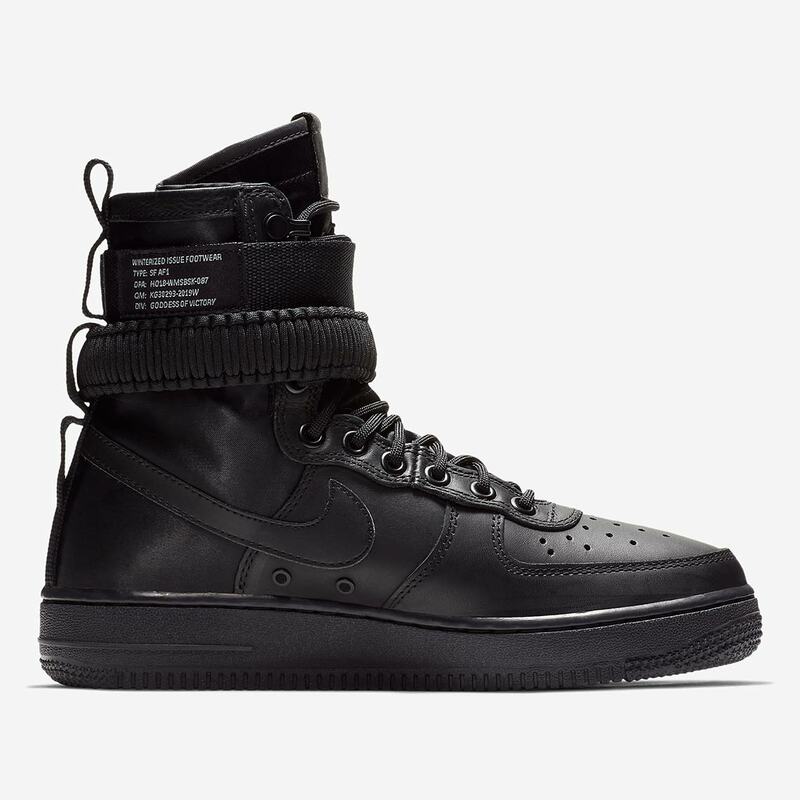 Designer Ben Kirchner took the already-chunky Air Force 1 midsole and combined it with stylings from the Swoosh Brand’s Special Field boot for a look that’s not entirely sneaker and not totally boot — but offers just enough of each. 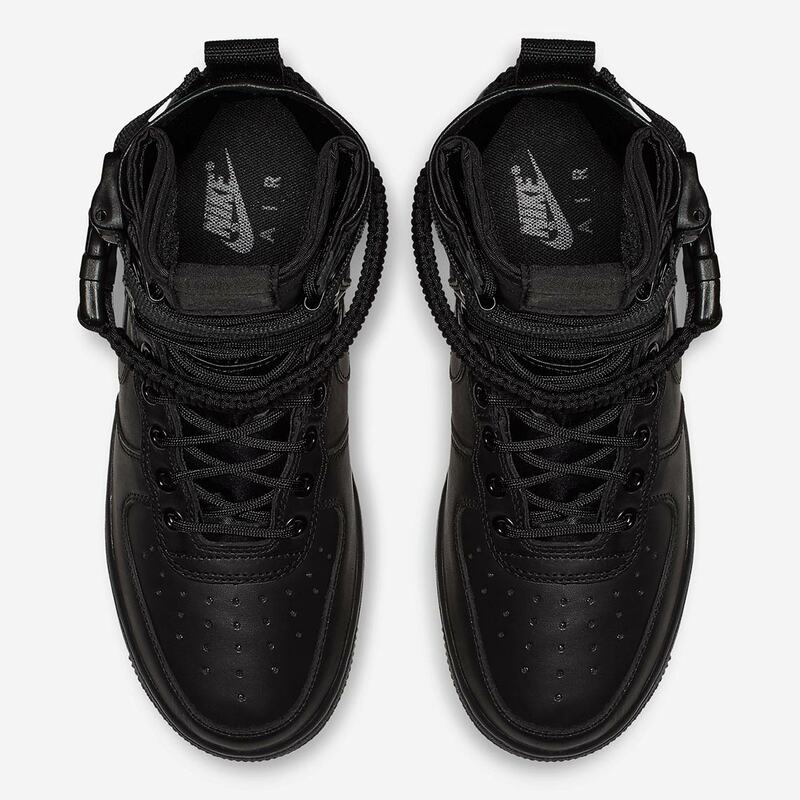 With cold and wet weather right around the corner, the ultra high-top shoe is set to return to market again, this time in a “Triple Black” colorway. 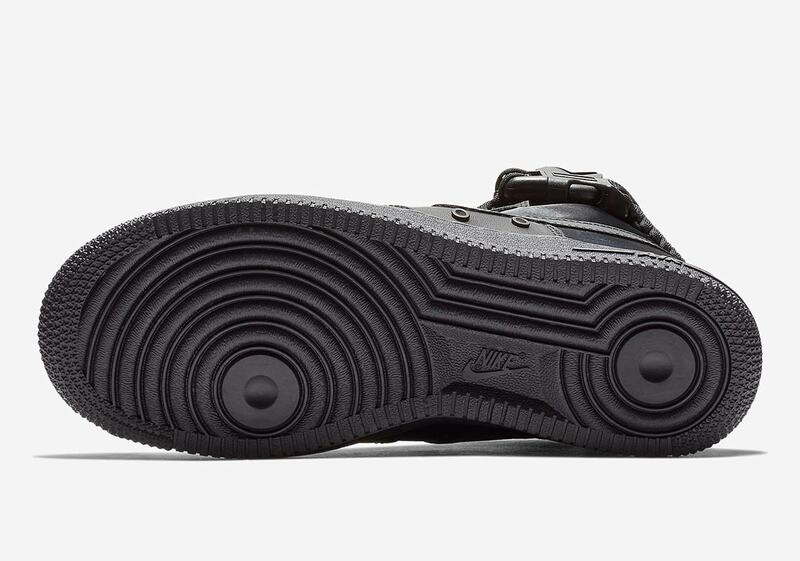 Constructed entirely of dark supple leather, the shoe’s upper gives off a look that’s both premium and durable. 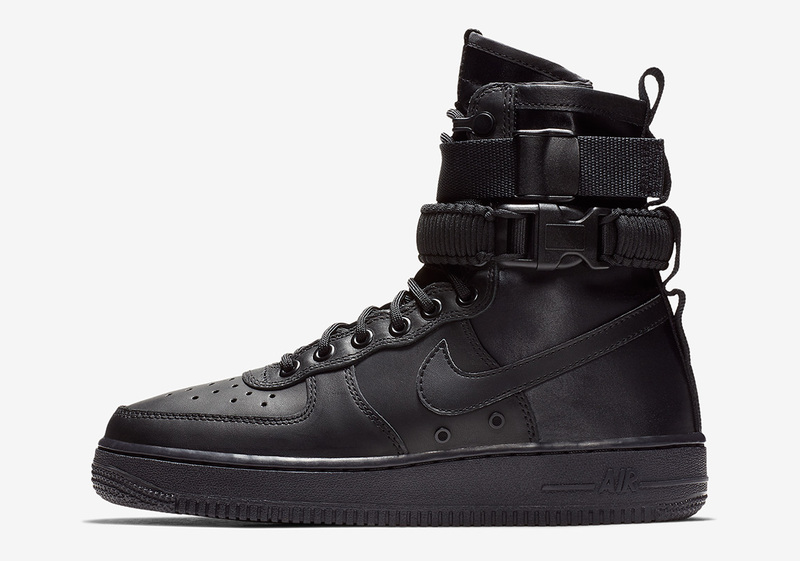 Combat-ready tonal accents arrive via the two straps on the upper, and a traditional black AF1 outsole completes the look. 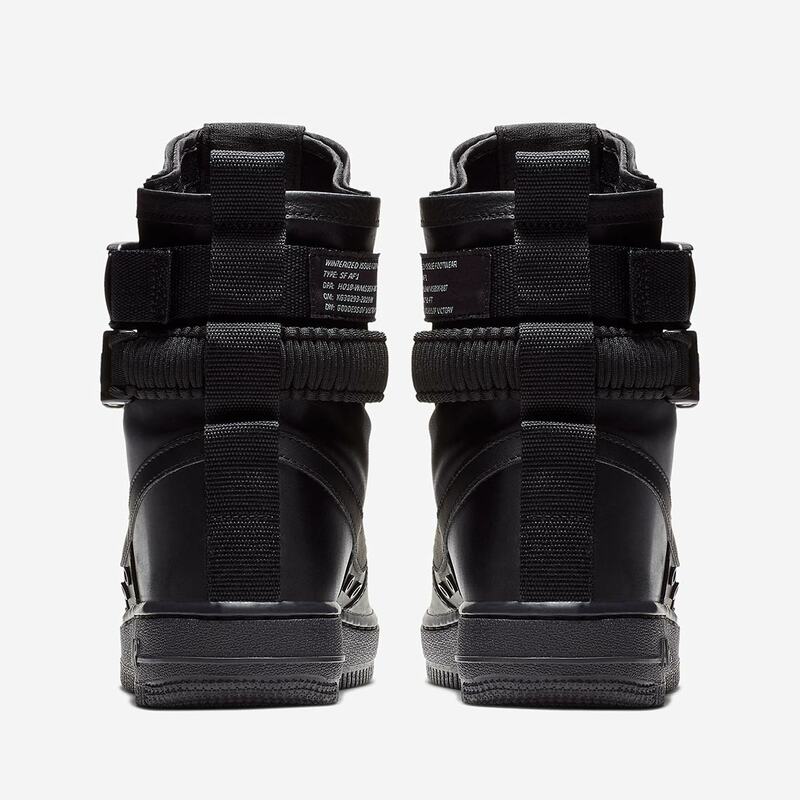 Check out a set of official images below, and expect a release on Nike.com later this fall.